Firstly, I pre-ordered (?) well not really pre-order since it was in Local Books website, they just had to deliver it to me once it was released. This is the first time I bought from them online so yeah. I want to say this is pretty exciting. 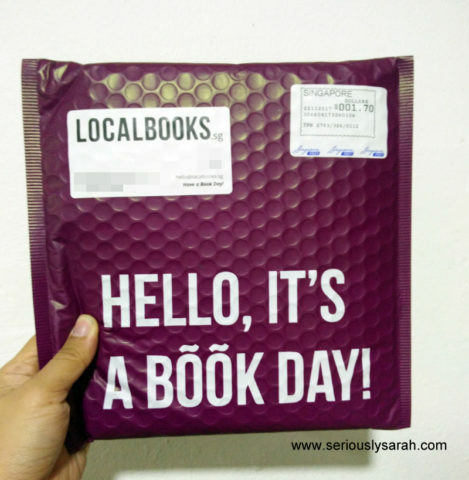 RECEIVING BOOKS (that I paid for) that is. The packaging is bright purple in real life and it’s super cheery. I might buy more books this way just cause of the packaging cause it’s cute for specific hard to find titles in store. You guys should try it with Harris Bin Potter. Oh and prices on that website haven’t added gst in. I would have wanted a “GST included” price, so no cheated feelings or something at the cart. I chose for the free gift wrapping because November is a book day for a lot of reasons and the wrapping is pretty good. Hit that “gift wrapping” button if you are definitely gifting it to a friend, whoever is the wrapper, it is veeeery nice. Oh and we get a tiny “Word Search” puzzle card which is a promo of some books available on their site. You can click to embiggen to look see the other side of that word search puzzle. Anyway, I unwrapped it and BEHOLD. 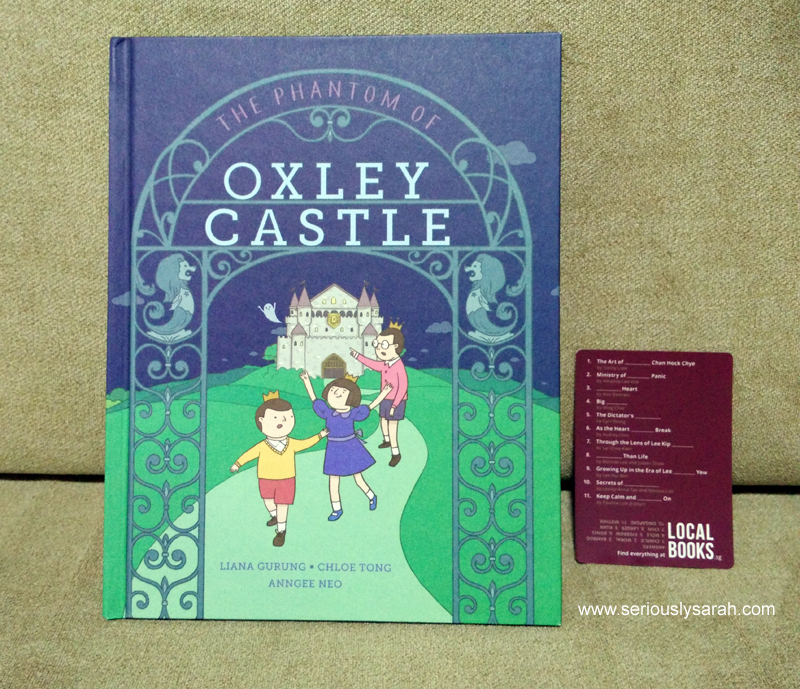 It is The Phantom of Oxley Castle by Liana Gurung and Chloe Tong, illustrated by Anngee Neo. My review is going to be as a book reader and not some political website trying to find hints and meaning more than me when watching the latest Taylor Swift video. I double checked what this was categorized under Juvenile Fiction which is, I suppose not for adults? Alright, so I’ll read this as a kid who got handed this book and well, me. It begins promising with an introduction of the characters. Princess Harriet is the kickass one, Prince Humphrey is the youngest but concerned one and Prince Hector is the eldest and the nerd one. They also have a dog named Coffee and a butler named OB Markus. Thankfully, their butler is there because their parents seem to be away. This is alright, lots of Disney families of the main characters are kinda dead ala Elsa or adventuring away like uh, Elsa’s before they got dead. Anyway, that’s it. That’s basically the introduction. The rest of the plot is as glancing as what you would even see from the cover. I would like to appreciate Anngee Neo a lot because the art has a lot of tiny details such as a Merlion fountain and there is also a picture of swordfish (I’m amused because we have a legend of swordfish attacking Singapore) in the main hall and tiny, tiny lion details. 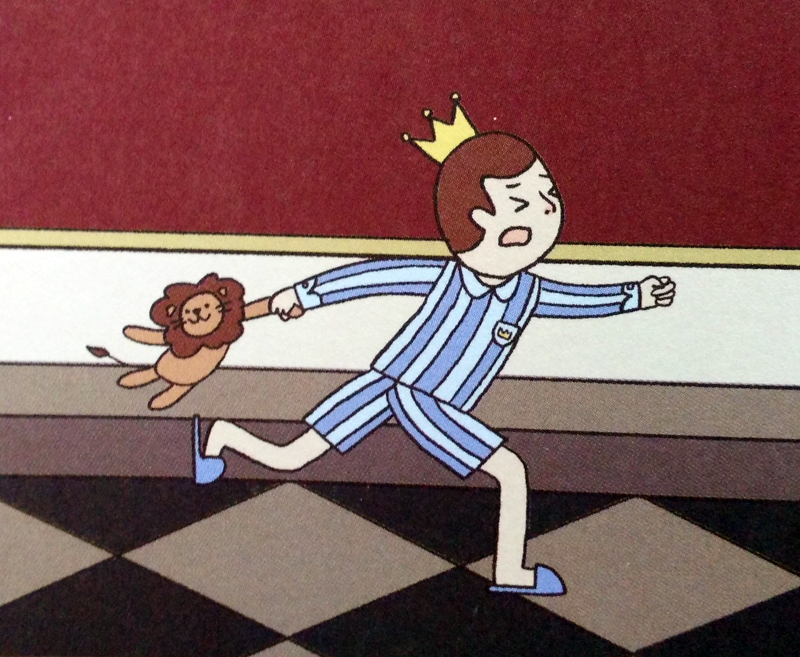 Prince Humphrey here is carrying along his lion soft toy and it makes me want to have one cause it looks so cheery. This isn’t a spoiler, the freaking title is on the book, “The Phantom of Oxley Castle” so it’s either you believe the butler or not anyway. The ending is pretty much cheat my feelings a lot. OK. As a non-adult if I was given this book to read during assembly before class starts, this would be one of the most cheat feelings book because while it has an introduction, it does not really have a middle and the ending gives you an “Ok lor…” ending. 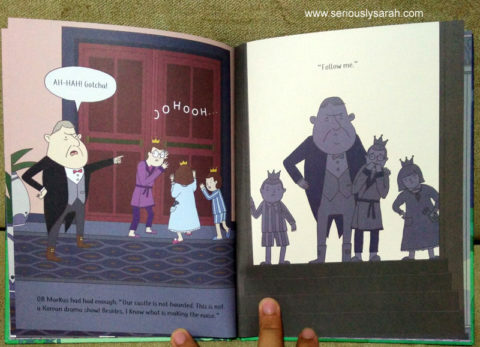 The art just saves the book because it gives you more things to look at and if you’re reading this to a non-adult, you can make up more stories by doing an oral examination style observation on the page. Aka “There is a lion on this page and the boy is holding the toy, he must really like it. Do you have a toy that you like to carry with you too?” etc etc. For a 15 page (they’re double page spreads so technically around 30) book, I would have expected an actual story since juvenile fiction is not that easy to capture an attention of a non-adult to read and not self-sabotage themselves in the story by not having a vague plot or urgency to go find out who this Phantom is. There are no descriptions of what the characters are feeling. It has more descriptions of what is around them than what the characters are motivated by. It’s a picture book, that’s the whole point. Let the viewer actually SEE it and have the text describe the characters’ motivation. It’s not even teaching words like “This cupboard is brown” bla bla. It’s just… Ok lor. The whole book is very Ok Lor and feels like it is more of an prologue to a series instead of one book. Get this book if you’re still curious on it and want to bask in the art. 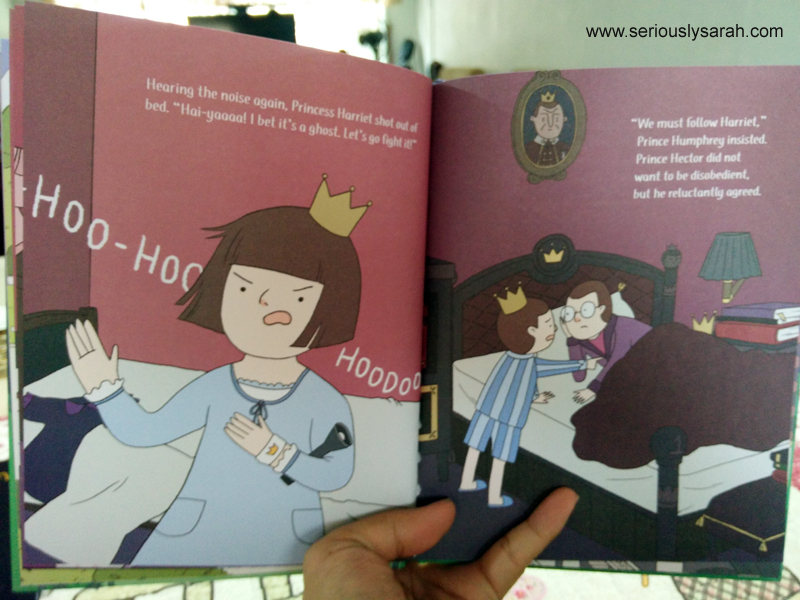 For me, I’ll probably be able to write a book with the same art with funnier lines. 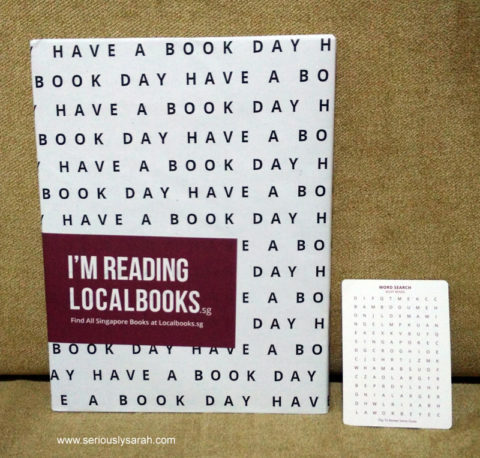 For those who are trying to ‘read into things’ with whatever press hooha. There’s nothing sue-able from what I read of the book. Except cheated feelings, I guess. Next Next post: 12.12 Lazada Surprise Boxes!